the room size is decent with a small pantry and seating area beside the bedroom space. the bathroom is big with shower and tub. We had a pleasant stay in Cherry Hill and enjoy so much of their Japanese style breakfast. With the price we paid, nothing more we can asked for, the staffs are well trained with warm hospitality. 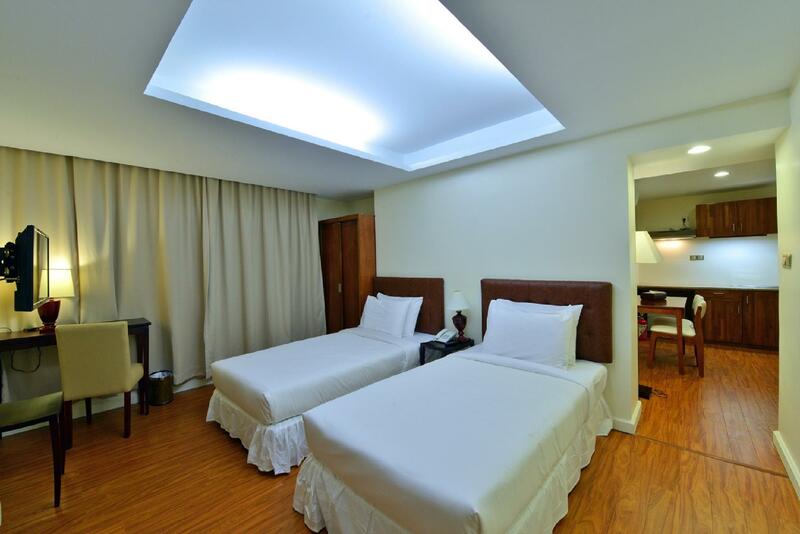 The staff are very helpful and friendly.Room is clean and comfortable. Good breakfast. Although Cherry Hills is rated as 3 star, education level given to each emplyees exceeds that of 5 star hotels. Each employee never forgets smiling and greeting at any aoocation. Even house keepers are well trained to care about each guests. They always make you feel at home at any moment ! Stay here because it's near to the customer's office. Turn out to be surprisingly good hotel. Better than the 4-5 stars that I stay in previous trip. 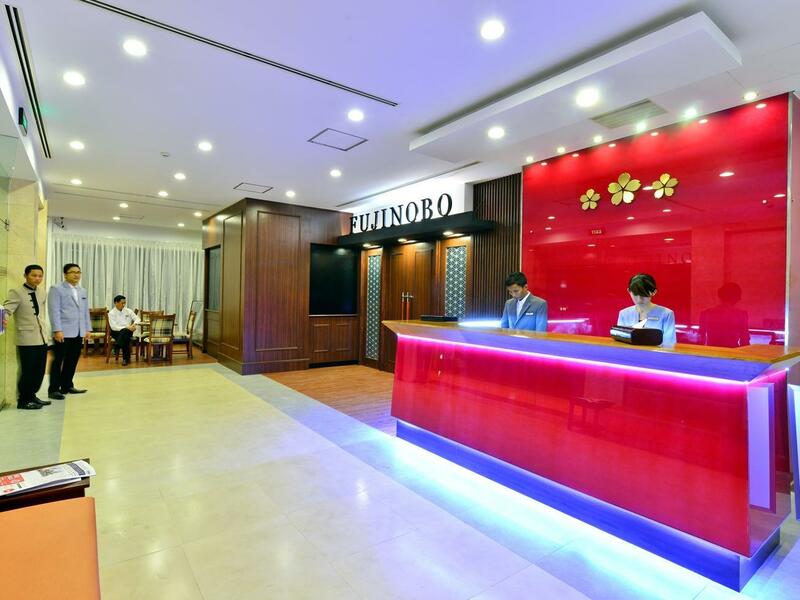 Internet is reliable, room is clean and function, staffs were friendly and Japanese Breakfast Style is great. Will stay here again. My stay of 4 night was superb. Staff were attentive and little problems were solved very fast. The room was superb - very comfortable, spacious enough with a small pantry and a great bathroom with heated toilet seats! I cant think of a better hotel experience in Yangon. I felt great about mostly everything this hotel got to offer! They even had a surprised for me on my birthday. I travel to overseas often but I can say that this would be one of the best hotel I ever stayed. If I were to request anything more, that would be buffet style breakfast, faster internet connection, fluent English spoken staff. Other than that, simply the top class! Thank you Cherry Hills! the room is big enough and appreciate a small kitchette area where I can dine and do my work. Staff is friendly too.Recommended. the staff are very helpful and friendly. especially housekeeping is great. the location is on the main street, so It's easy to access to downtown, sightseeing place by taking a taxi. breakfast is also great. We had a great stay at this hotel. The staff was magnificent. We hired a taxi through the hotel and he was "Johnny on the Spot" any time and every time we need him. Great restaurant and Karaoke facility next door. Price wasn't too bad either. Highly Recommend! Fantastic staff, very helpful and obliging. Room very clean and good facilities. Would be nice to have a pool in a very hot city. I think it is always hard justify paying high US dollars for accommodation in a country such as Myanmar where the wages and cost of living are so low. The room is quite big compare with downtown hotel, but the traffic is terrible in front of the hotel. At the peak hour, there is always full and with a big horn noise. It is good to stay for long stay. 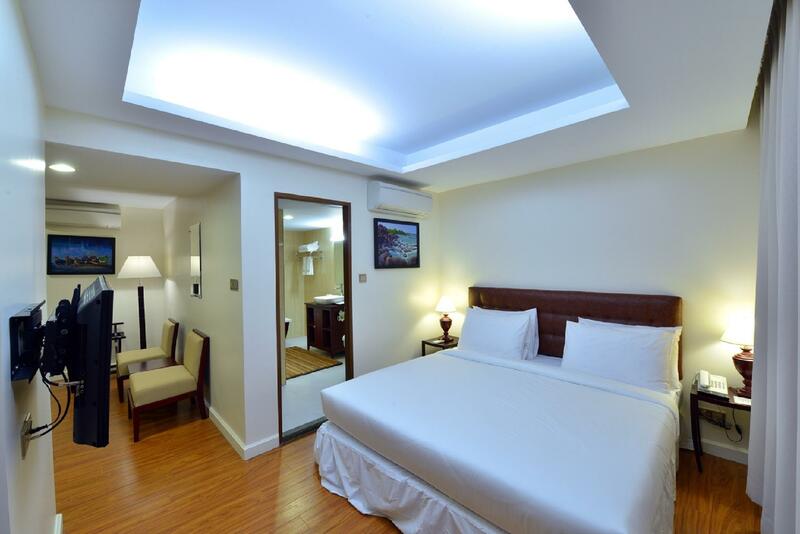 It can access everywhere and walking distance to Victoria supermarket and Singapore Embassy. It only 15 minutes to walk Market Place supermarket and Pizza Hut. 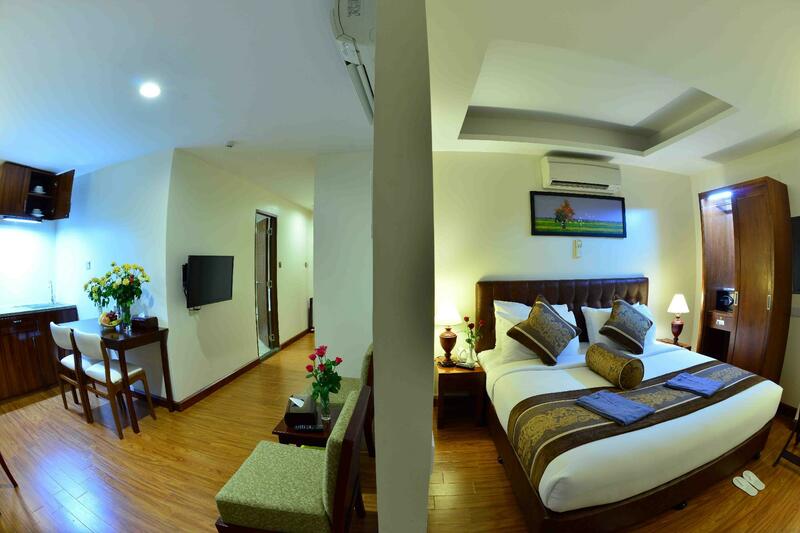 There is also many restaurants in walking distance at Sayasan Road, Safari KTV, Tony Roma, YKKO, SP bakery, Acacia Tea Saloon, etc..
Good hotel near the Shwe Dagon Pagoda. Nice, large, comfortable rooms. Generous breakfast (choice of European or Japanese). Free WiFi. Easy access to all major attractions. Very friendly and helpful staff. Highly recommended! It was an excellent choice! Everything was as it should be in a good hotel. Unfortunately we were there only one night. I wish to stay longer. The staff was super friendly and helpful. Top cleanless of the hotel. Congratulation!